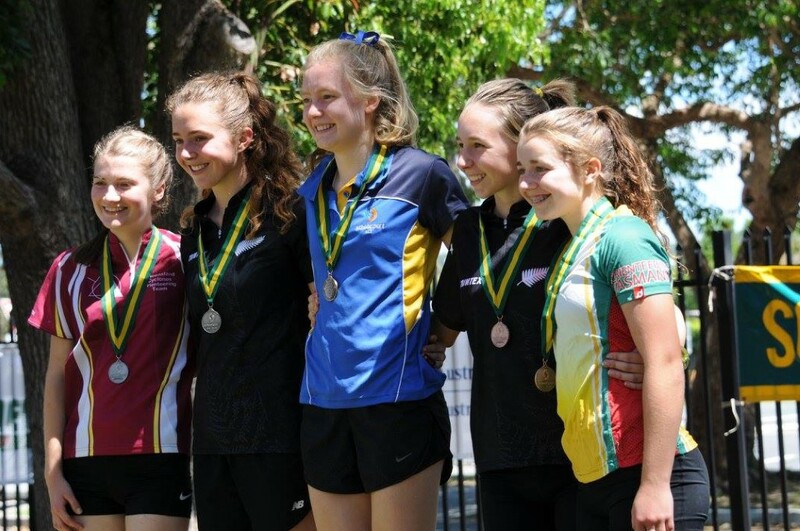 The New Zealand Secondary Schools’ Orienteering Team made a successful start to the Southern Cross Junior Challenge in Queensland today, winning all four grades. Yesterday’s event was the first of three events, in which the NZ team compete against teams from the Australian states. It was a sprint orienteering event held on Queensland’s Gold Coast. Most successful were the Senior Girls, with fast runs from Jenna Tidswell 2nd (Havelock North High School), Briana Steven 3rd (Cashmere High School) and Carolyne Nel 4th (Napier Girls High School). Also fast-finishing was the Junior Boys team, with Sebastian Safka 3rd (Takapuna Grammar) and Isaac Egan 4th (St Andrews College). There were good results in the other grades. Callum Hill (Whangarei Boys High School) was third in the Senior Boys grade, and Jessica Sewell (Diocesan School for Girls) third in the Junior Girls grade. This consistent team effort from these young orienteers puts New Zealand in first place with 32 points, ahead of ACT on 24 points and South Australia and Queensland on 21 points each. The NZ team have a rest day tomorrow, before contesting the individual (Long distance) event on Wednesday and the Relay on Thursday.